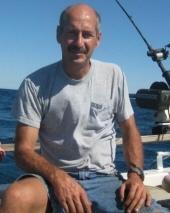 Richard L. Fouts, age 54, a 14 year resident of New Haven, Michigan, passed away on Wednesday, June 3, 2015 at McLaren -Macomb Hospital in Mt Clemens, Michigan. Richard was born September 21, 1960 in Royal Oak, Michigan, the son of Charles D. and Diane (Lenz) Fouts. Richard worked as an automotive designer in the Macomb County area. He was well known as the â€œLocal Handyman who could attempt to fix anythingâ€. He would do anything to help his family and friends. His hobbies include hunting & fishing. He was a longtime member of Utica Evangelistic Church in Utica. Richard is survived by his daughter Crystal (David) Clapper of Roseville, parents Charles Sr. and Diane Fouts of Almont along with siblings: Charles Fouts Jr. of Warren, Norman (Sandra) Fouts of Almont, Ronald (Heather) Fouts of Grover, North Carolina, and Walter (Paula) Fouts of Washington Township. Also survived by his grandchildren Dustin & Travis, grandmother Myrtle Fouts of Vassar, MI., and special friend Elizabeth. Nieces and nephews include Rebecca, Nicholas, Stephanie, Audrey, Mitchell and Alyse. Funeral services will be on Saturday, June 6 at 7 PM at the Henry M. Malburg Funeral Home of Romeo with Pastor Eric Majeski of Grace Lutheran Fellowship officiating. Visitation will be on Saturday from 1-8 PM. In lieu of flowers, donations to the family to help with funeral expenses would be appreciated. To send flowers or a remembrance gift to the family of Richard L. Fouts, please visit our Tribute Store. "Email Address" would like to share the life celebration of Richard L. Fouts. Click on the "link" to go to share a favorite memory or leave a condolence message for the family.